Bridging loan is one source of fast cash which can answer for any kind of financial needs that are urgent. This loan is ideal for those who do not have sufficient time to make arrangements to secure long term loans. This is considered to be a finance option which is short term as it is made easily available by the lender. One great advantage of this kind of loan is the fact that you need not prove your credit worthiness in order to avail it. While it may require you to post some kind of securities, it will just be the basis of the amount of money you will be able to borrow. Bridging loan offers numerous advantages, but one must carefully study its terms and conditions before signing up for one. 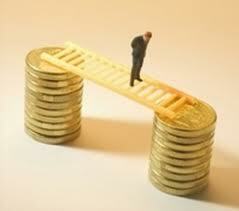 Bridging loans can be taken by those individuals or businesses which are in darn need of financial assistance. However, this kind of loan may have higher interests rates considering that the lender bears higher risk as well. Other fees to pay includes valuation fee for those who will evaluate the value of the asset being given as a security. You also need to pay administration and legal fees. Some of lenders offering this kind of loan also offer equity participation. When it comes to formalities, there no strict form required which can assure you that your loan amount will be disbursed immediately. For business financing, bridging loan can be used for many different purposes. For one, it is used in carrying the works of a business when it is looking for some new investors. The money obtained from securing the loan is useful to finance routine expenses of the business during this process. When an interested party starts investing, the cash flowing from such investment can be use in repaying the bridge loan. When partners in business withdraw their contribution upon retirement, it may become difficult for the business to continuously thrive with its remaining capital. This is another case where bridge loans can be used to smoothly run again the operation of the company. Bridging loan may also be availed by those who intend to purchase real estates. If you intend to buy a new property and you need to make down payment on it, you can obtain a bridging loan for this purpose. However, you may be required to post a collateral security before your application will be approved. Once you were able to secure the loan, the proceeds can be used to make your down payment. After you have found a buyer for your old property, you can use the proceeds of the sale in order to pay off the bridge loan. Should there be balance after paying off the loan, it can be applied to the remaining amount due of the new property. With this, you will be assured that you will not lose the property you always wanted simply because you do not have the funds available. Joel Cordle is marketing lead at Microbank.com.au, Micro bank is Friendly and Professional Lending Company, provide bridging loans and bridging finance as fast as 24 hours. We offer different types of bridging loans and help people those are buying a new property or need investment for business. It's good to be informed about bridging loans and the other different kinds of loans. I need to know my options before I choose one that will be suitable for me.